(LOCATION: West Palm Beach FL) The Viking 58 Convertible is a world-class tournament machine with aggressive styling, remarkable accommodations, and exceptional performance. This is a three stateroom fisherman with flybridge, huge cockpit, and twin 1200 horsepower MAN diesel engines. The flybridge features hard top with three-sided enclosure, Rupp outriggers, rocket launchers, and spreader lights. The centerline helm station has twin Murray Brothers helm chairs and custom console with built-in electronics boxes. There's a full complement of electronics including: Northstar Integrated Network display with GPS and chart plotter, Furuno 64-mile radar, Northstar 951 and 952 back up GPS, Furuno digital depth sounder, Simrad auto pilot, and Standard Horizon VHF radio. There's guest seating with a great view. The spacious cockpit gives you more than enough workspace, and includes Murray Brothers fighting chair, prep station with sink, engine room access, live well, tackle locker, fish boxes, rod holders, transom door, fresh and saltwater wash down, and a cockpit freezer with ice chipper for all your catch. The foredeck includes stainless steel bow rail, 1000 lb. dinghy davit, cradle, and bow pulpit with anchor and windlass. The interior is large, open, and comfortable. The carpeted salon has an L-shaped settee and barrel chair. Forward we the full galley port side with teak & holly sole, Sub-zero under-counter refrigerator and freezer, four-burner electric cooktop, upper and lower cabinets with lots of storage, and a spacious Corian counter top with sink. Starboard is a roomy wraparound dinette with matching Corian table and overhead built-in TV. There's lots of room to relax after a day of fishing and discuss the ones that got away while enjoying a cold beverage. For overnight and extended fishing trips there are three staterooms. The master stateroom is port side with island king berth, under-berth storage, night stands, credenza, dressing table, large hanging locker, TV, accent lighting, and ensuite head compartment. The forward VIP stateroom also has island queen berth, under-berth storage, two hanging locker, TV, accent lighting, and ensuite head compartment. The guest stateroom has upper & lower bunks, under berth storage, hanging locker, and accent lighting. The guest/day head is accessed from the companionway which is also home to the laundry with Whirlpool washer & dryer. Lots of room and first class accommodations makes the fishing all the more enjoyable. Performance is provided by twin MAN diesel engines generating 1200 horsepower each with a cruising speed of 26 knots and a top speed around 32 knots. 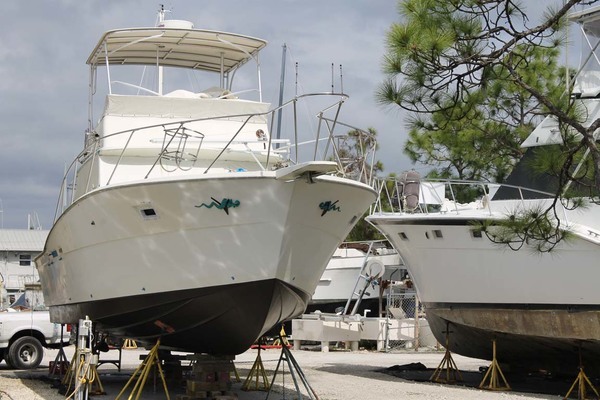 With only 350 hours since rebuild the engines are ready to provide years of quality service. The Lovelee has two Onan 16-kW generators, reverse cycle HAC, automatic engine room fire suppression, water maker, central vacuum, and even features a clothes wash and dryer. She is a great-looking, well equipped sport fisherman with tons of room. 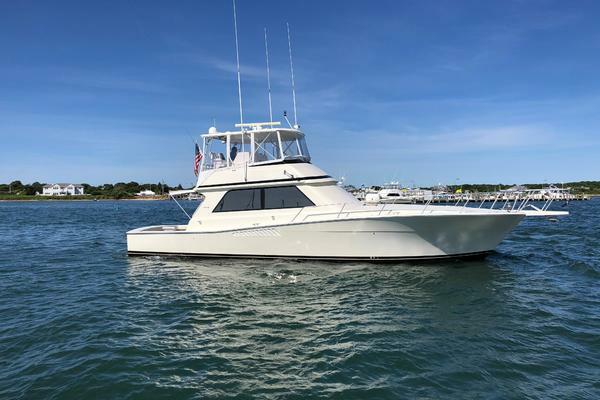 If you are serious about fishing and want to do it in style, call now for more information or to schedule a showing of this exceptional Viking 58 Convertible. United Yacht Sales New Jersey would love to guide you through a personal showing of this 58' Viking 58 Convertible 1998. 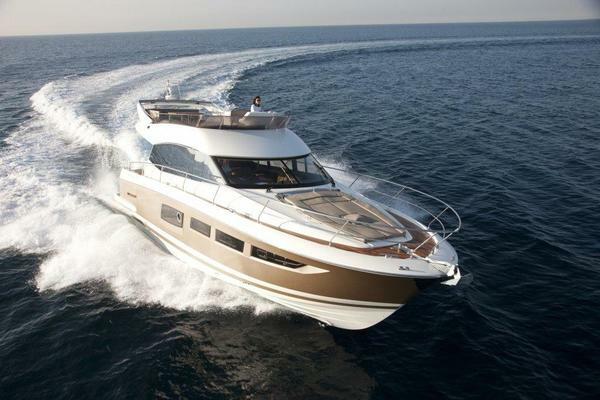 This yacht for sale is located in West Palm Beach, Florida and priced at $500,000. For a showing please contact us by filling out the form on this page and we will get back to you shortly! High gloss varnish interior finish, large windows, Hunter Douglas blinds, beige wall-to-wall carpet with snap-in runners.